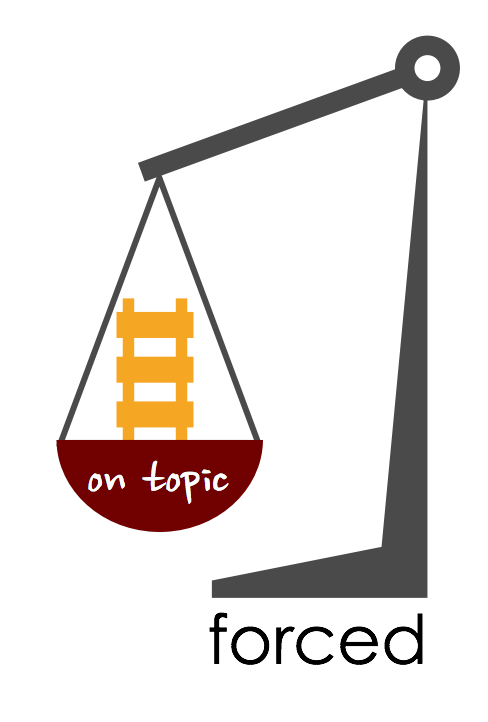 People often tell individuals with ASD to stay “on topic” in a conversation. And there’s some good reason: most people don’t like the feeling that a conversation that goes “off the rails” and turns into being about different than intended. But do we always need to stay on topic? Have you ever thought about how a typical conversation goes? Many times, they don’t stay on one topic the whole time. It’s more like the conversation veers from the latest episode of Big Bang Theory… to theoretical physics… to physical education class. So when do we need to stay on topic, and when is ok to stray from the topic a little? It may be helpful to think about finding a balance! There are lots of times when it’s helpful to stay on topic. But going off topic, or “on a tangent,” isn’t always such a bad thing. It’s how many conversations usually go, and new ideas and connections can emerge when we go on a tangent. 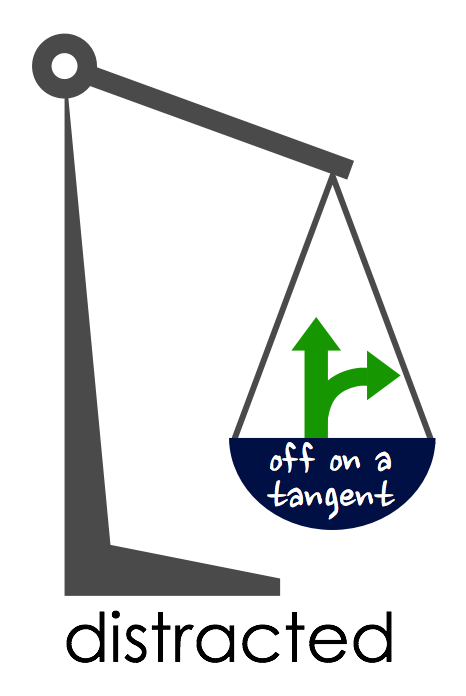 So which is it: stay on topic, or go off on tangents? Well, there is a big “gray area” – space in between those two sides. Let’s look at the extremes first. Recently, I was working with a colleague, S, on a list of 14 tasks we had to finish. Task number eight made me think of a recent conversation I’d had… which reminded S of thinking she’d been doing… which led to an amazing discussion, and 30 minutes later it became the beginning of a presentation that answers questions we’ve been struggling with for five years! But that wasn’t on our list. So should we have just stopped and gotten back on topic? Not at all. Our tangent was interesting to both of us and led to new, original thinking. It was a productive tangent! Did we eventually have to get to our agenda? Of course. But it’s a good think we went off on a tangent for a little while. Hence the need for balance in negotiating on topic and off on a tangent. Trying to stay on topic all the time can lead to a forced, overly rigid conversation. It can stifle creativity. And as I mentioned earlier, it’s not how most conversations usually go. How Much Topic, How Much Tangent? 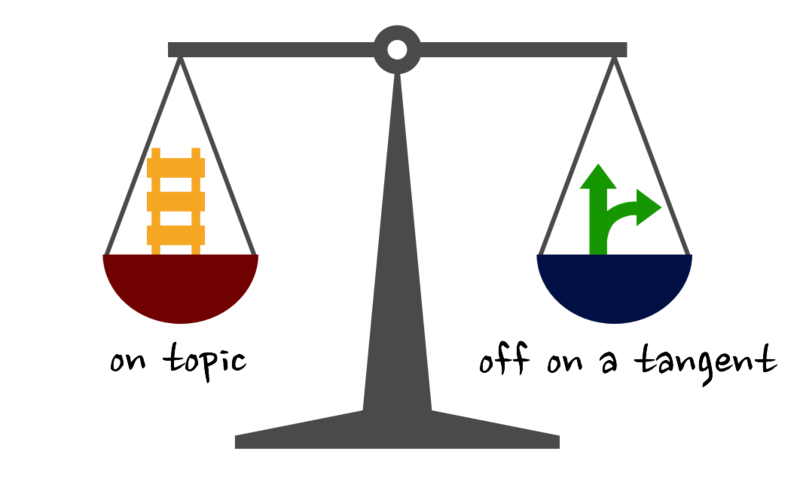 Like all Balance Challenges, determining how much to stay on topic depends on the context. It depends on the people you’re with: a teacher or boss likely expects a more focused, on topic conversation than a friend. It depends on the group expectation: a group that’s working on a project probably wants to stay more on topic than a social group that’s just hanging out. Am I insisting we stay on topic when it would be ok to allow this to go off on a tangent? Do you tend to veer off on tangents and could probably tip the scale more toward on topic? Or do you tend to stick voraciously to the topic and could allow yourself to move towards allowing yourself to go off on a tangent? How does this help you think about your role in conversations? Let me know in the comments.